The International Court of Justice (ICJ) today concluded the preliminary phase of oral arguments in nuclear disarmament cases brought by the Republic of the Marshall Islands (RMI) against India, Pakistan and the United Kingdom. 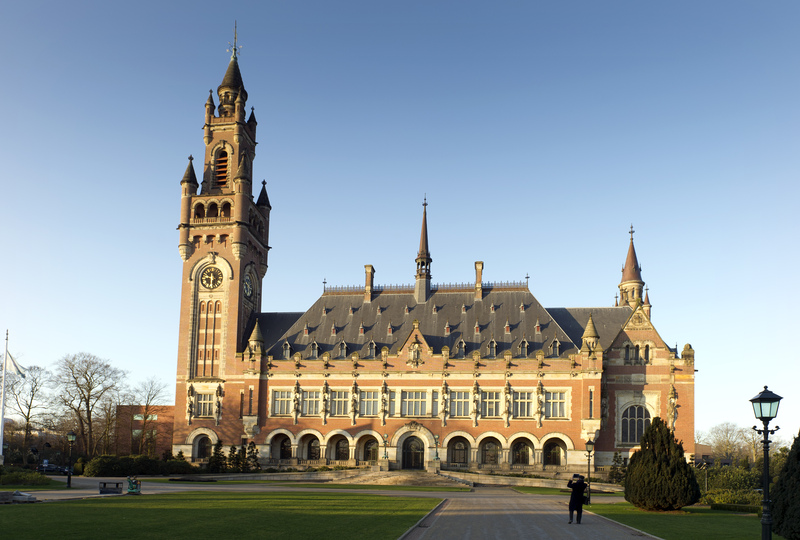 The hearings, which took place at the ICJ from 7-16 March, were the first contentious cases on nuclear disarmament ever heard at the Court. This set of hearings addressed the respondent nations’ objections to the cases relating to questions of jurisdiction and admissibility. This morning, India delivered its final oral arguments. India’s legal team doubled down on its assertions that its words speak louder than its actions. While repeatedly highlighting “irrefutable evidence of India’s positions in United Nations forums on disarmament,” India’s lawyers denied that test-launches of nuclear-capable missiles – including on Day One and Day Three of the ICJ’s hearings in the case against India – indicated participation in the nuclear arms race. Mr. Amandeep Gill, Co-Agent of India, expressed dismay that Tony de Brum, Co-Agent of the Marshall Islands, told the Court that India’s nuclear arsenal threatens the world. “What else,” asked Mr. Gill, “could be more political, more contrived and more artificial than this allegation of a threat to the world?” A 2013 report by International Physicians for the Prevention of Nuclear War entitled “Nuclear Famine: Two Billion People at Risk” shows that, even in a “limited” nuclear war using as few as 100 nuclear weapons anywhere in the world, the global climate and agricultural production would be disrupted so severely that the lives of more than two billion people would be in jeopardy. In the afternoon session, the Marshall Islands presented its final oral arguments in the case against the United Kingdom. Phon van den Biesen opened the session by answering the question posed by Judge Bennouna at the Court last Friday. Mr. van den Biesen presented numerous examples to the judges illustrating the Marshall Islands’ interpretation of Article VI of the Non-Proliferation Treaty (NPT) at the time that its Application against the United Kingdom was filed (24 April 2014). He continued, “At the end of the day, the UK position boils down to an assertion that the RMI has no legally enforceable rights under NPT Article VI. If that were true, the Strategic Bargain of the NPT is illusory.” The strategic bargain to which Mr. de Brum referred is, at its core, that NPT signatories that possess nuclear weapons promise to negotiate the elimination of all nuclear weapons in exchange for non-nuclear-armed signatories agreeing never to acquire such weapons. The 15 judges of the ICJ, along with judge-ad-hoc Mohammed Bedjaoui, will now deliberate on jurisdiction and admissibility issues raised in the written and oral pleadings. The Court will announce its decisions in a public sitting at a date to be announced.